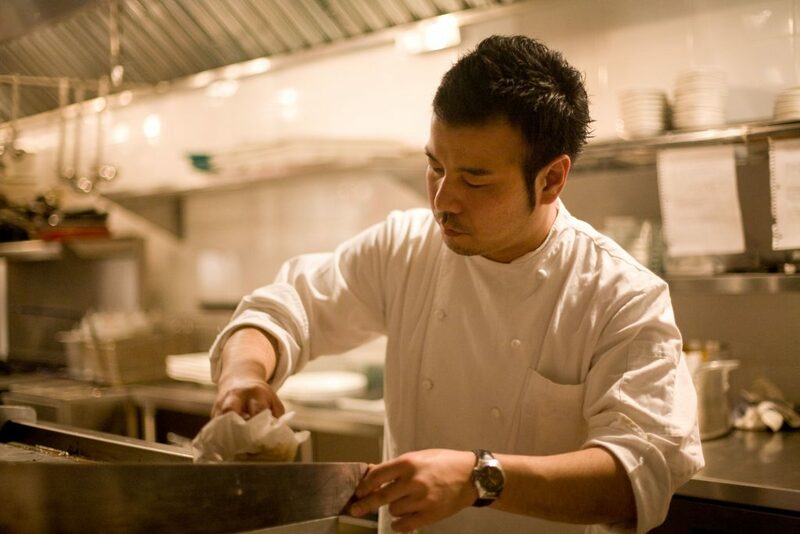 Takanori Akiyama, the esteemed Executive Chef of SakaMai, is serving up contemporary Asian fare that expertly merges Western influences with traditional Japanese cuisine. 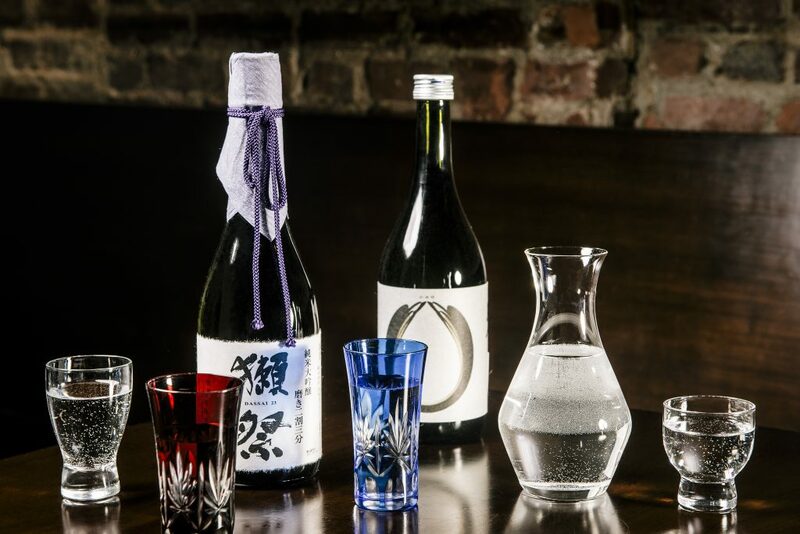 The elegant simplicity of his menu highlights his love of both Japanese cuisine and sake, as this Lower East Side treasure continues to earn praise for its sophisticated, yet straightforward menu which is thoughtfully created to complement a vast (and ever-evolving) repertoire of sake and shochu. 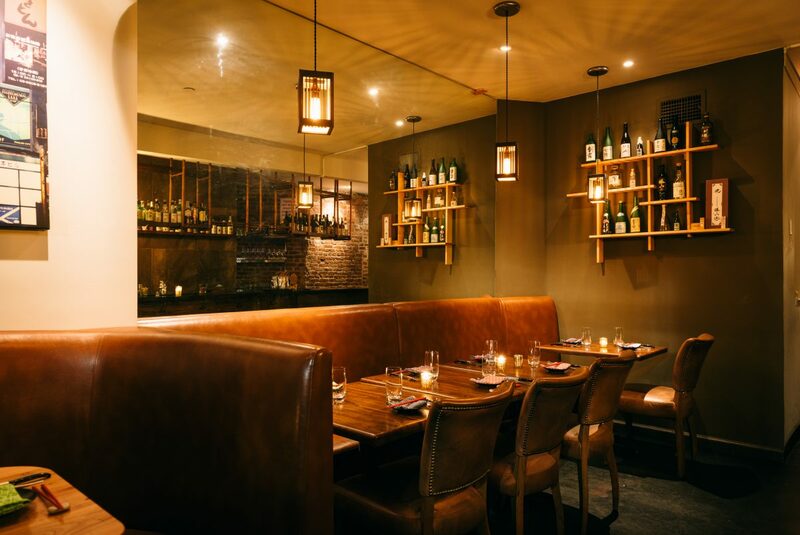 The interior of SakaMai is simplistic yet warm and is highlighted by exposed brick walls, reflective of the neighborhood in which the restaurant resides. Dark wooden tables greet you as you effortlessly slide into comfy leather chairs and banquettes, and Jetset readers will surely enjoy the mezzanine level which is perfectly situated for more private dinners, while the cozy fireplace room brings an air of warmth. 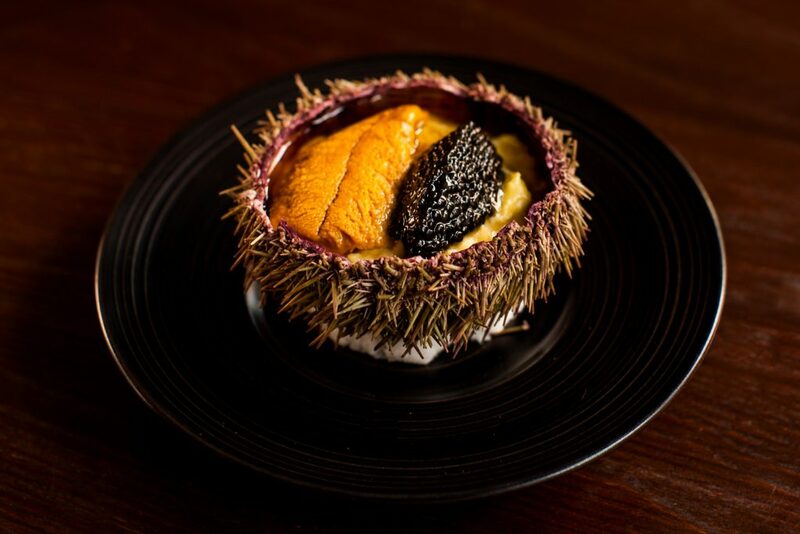 We happily started our meal with a couple of selections from their UNI (sea urchin) menu—one of my absolute favorites and one that I refer to as the “food of Gods.” Both the Egg on Egg on Egg (sea urchin, sturgeon caviar, scrambled egg) and the Uni Mazemen (temomi ramen noodles, sea urchin, roasted bone marrow, bottarga and menma) delightfully framed this elegant delicacy making for a perfect start. The unexpected, yet extraordinary Kara-age Fried Chicken (harissa soy vinaigrette) was absolutely delicious and turns out to be a recipe from Miyazaki, Mr. Akiyama’s hometown on Kyushu, the southernmost of Japan’s main islands. 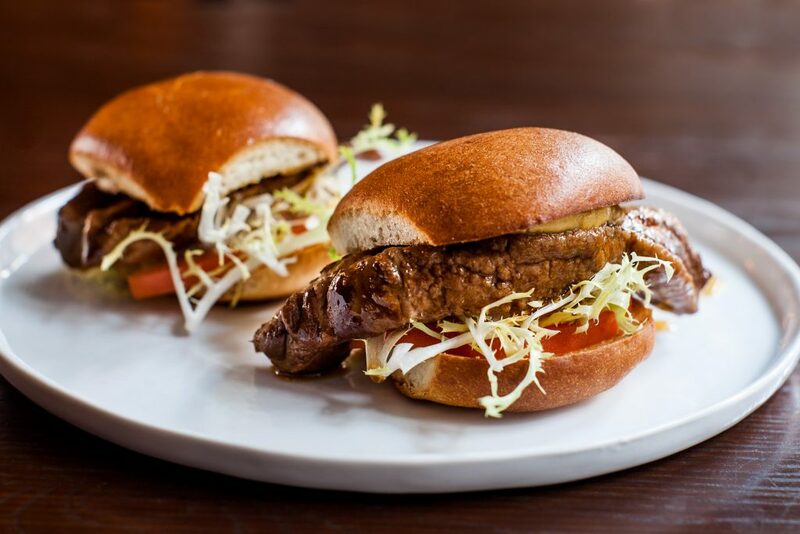 Moving on to yet more surprises, we thoroughly enjoyed Kaliningrad Sliders (braised Mijifuji pork belly, Karachi mustard, tomato, frisée, brioche bun). 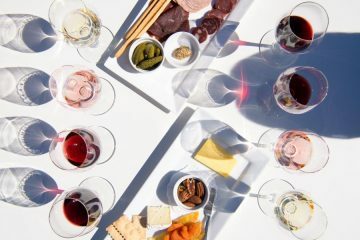 These delicate morsels were so perfectly braised that they had the consistency of fois gras and were rapidly demolished. 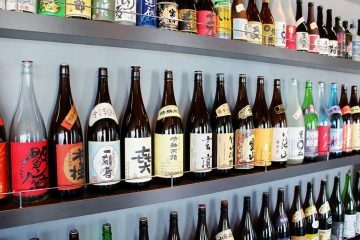 The sake list which has been curated by Yasu Suzuki and George Kao, will certainly keep enthusiasts of all levels rather intrigued. Throughout the meal we enjoyed a nice variety, but as somewhat of a “intermezzo,” we happily tried the Strawberry Mai Tai (Diplomatico dark rum, orgeat, pineapple juice, strawberry purée and yuzu), a delicious riff on the original. 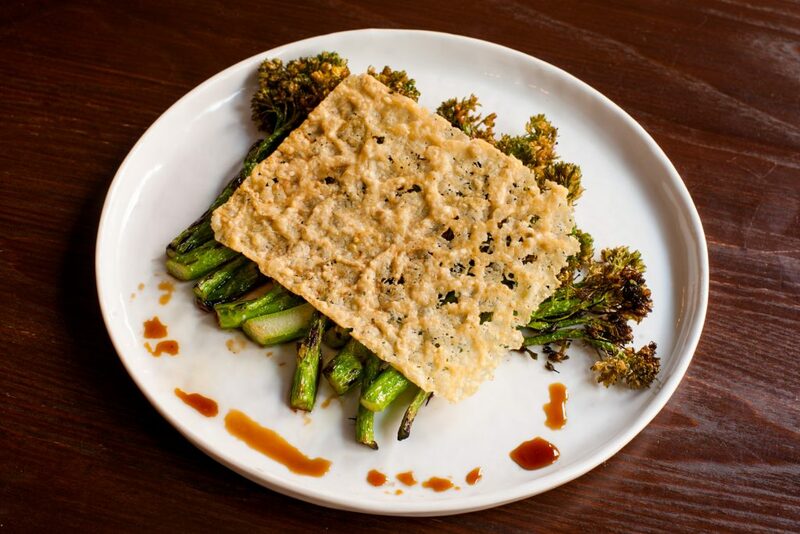 Next we engaged the Grilled Octopus (gochujang pepper, watermelon radish, frisée and shio kombu) alongside the Charred Broccolini (parmesan crisp, charred soy sauce, shichimi)—unusual bedfellows, but both rich with exciting flavors. Just when we thought we were on the path to dessert, we were presented with what was most certainly the most amazing duck dish I have ever had the pleasure or privilege to enjoy. 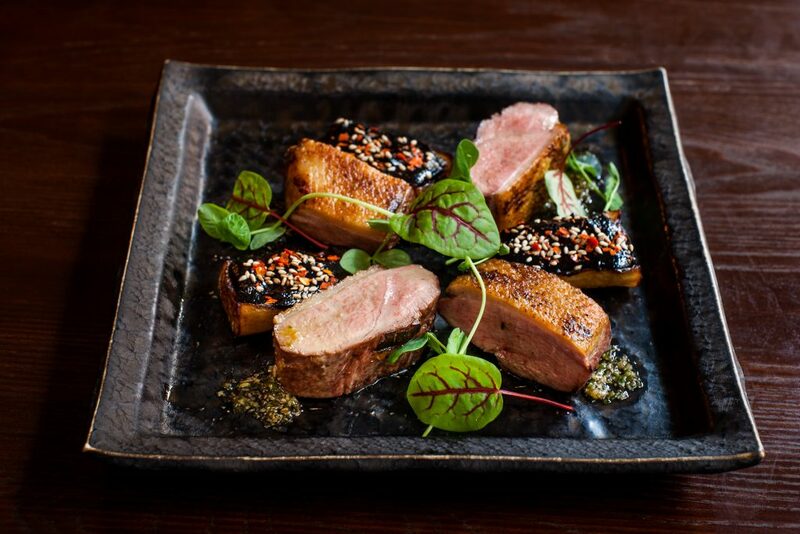 The Dry-Aged Duck (kale sprout, pickled garlic purée) was nothing short of a masterpiece and most certainly the linchpin of what will have me returning to this fine establishment. The finishing touch on this exciting meal was the trio of a Grapefruit-Campari sorbet, and Macha and Mascarpone ice creams—a fitting ending to a memorable and rather original dining experience.